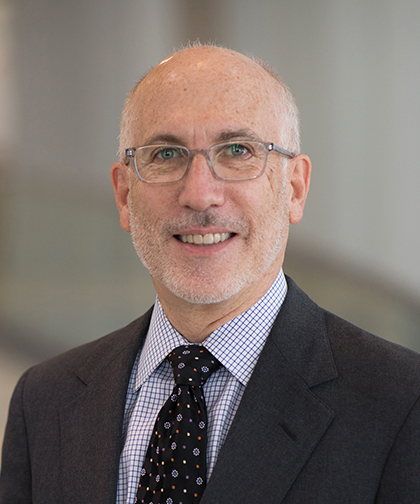 Neal D. Hoffman, MD, is an Attending Physician in the Division of Academic General Pediatrics at Montefiore (CHAM), and an Associate Professor of Pediatrics at the Albert Einstein College of Medicine. His clinical focus is in general pediatrics and adolescent medicine, with interests in school-based health care, chronic illness management and reproductive and sexual health. Dr. Hoffman joined Montefiore’s School Health Program in 2002, where he was Medical Director from 2005-2017. Dr. Hoffman was the Medical Director at Montefiore’s Adolescent AIDS Program from 1994 to 2001. Dr. Hoffman attended Boston University, where he received his Bachelor of Arts and Doctor of Medicine in 1987. He completed a Medical Internship at St. Luke’s–Roosevelt Hospital Center in 1988. From 1988 to 1991, he was Pediatric Resident at Montefiore Medical Center/Albert Einstein College of Medicine, after which he was Pediatric Chief Resident for one year. From 1992-1994, Dr. Hoffman completed a fellowship in Adolescent Medicine at Montefiore Medical Center/Albert Einstein College of Medicine. Dr. Hoffman is currently the Principal Investigator of a 5-year NIDA-funded R01 Implementation Science Project on universal HIV testing and targeted HIV prevention protocol in school-based health centers. He completed a fellowship in 2016-2017 in Practice-Based Research Methodology through an AHRQ-funded program at Case Western University Medical Center, when he started developing a research study to compare adolescent and parent responses for assessment of asthma severity and control. Dr. Hoffman participated in the Performance Improvement Course at the Children’s Hospital at Montefiore in 2018. Dr. Hoffman’s research has been published in numerous reviewed journals and articles, book chapters, and abstracts. In 2013, Dr. Hoffman received the Bronx Community Health Network Community Health Leadership Award. He is board certified by the American Board of Pediatrics and Adolescent Medicine. He is also a member of the American Academy of Pediatrics and the Society for Adolescent Health and Medicine.